Are you looking for the perfect small but meaningful award to present your swim meet participants? 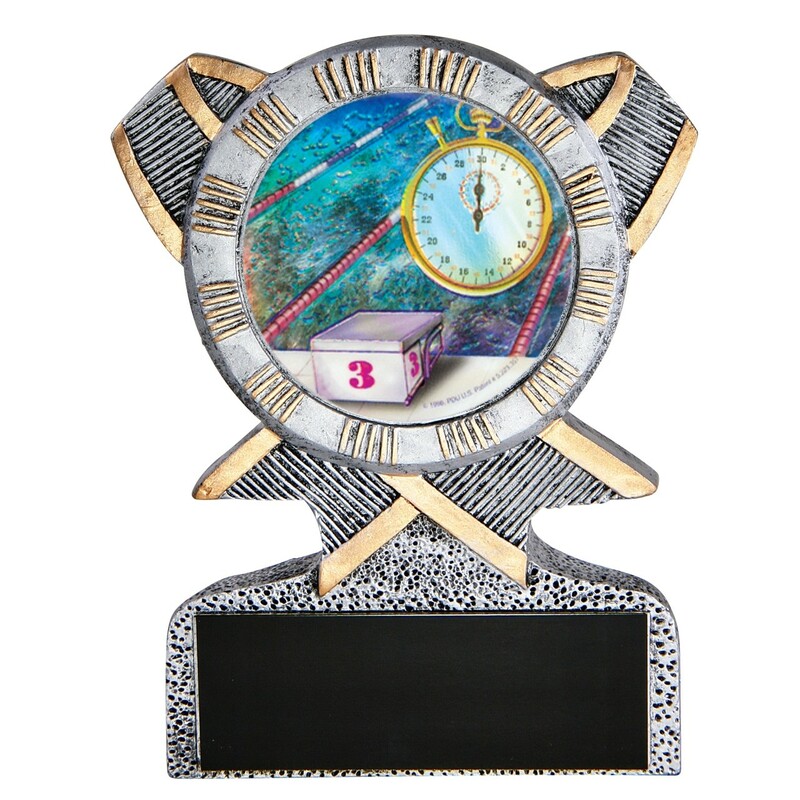 The Silver Ribbon Resin Swim Trophies measure 5 inches tall and feature a colorful 2" mylar insert depicting a timer, pool,and starting block. Add three lines of free engraving to this great trophy for a truly memorable award!